You won’t want to miss the SantaCon on Rainey Street in Austin Saturday December 9, 2017 from 3-6 pm! ONLY if you’re 21 or over suit up as Santa and join in the epic bar crawl with the other Santa’s! The fun begins at Lustre Pearl located on 94 Rainey Street and work your way down Rainey St. Play reindeer games along the way at Lustre Pearl, Bungalow, Container Bar, Clive and Parlor Room & Bangers and receive drink specials just for the Santas. You can register on line or if you wait until the event register at Lustre Pearl before the event starts! All Santa's must register and receive and wrist band. Tickets are $20. All proceeds from SantaCon go to the Big Brothers Big Sisters of Central Texas. If you’re in NYC on the same date then you can participate in their SantaCon pub crawl! 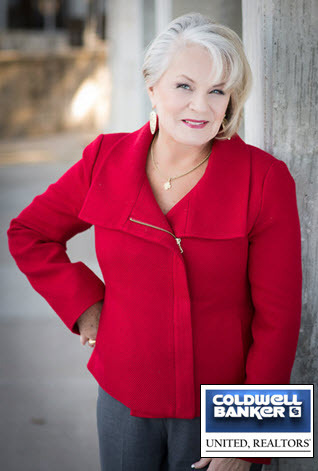 As always what is going on in Austin is brought to you as a courtesy by Dorie Dillard of Coldwell Banker United, your NW Austin Real Estate Professional. If you're thinking of selling your NW Austin home, Lets talk! As with anything in life, preparation is the key and I will equip you with what you'll need to get you, as seamlessly as possible, through the some-selling process. Contact me at 512-346-1799 or dillard@reloaustin.com and let's get started! Good morning Dorie. Think they had one here in Chicago. I did not participate. Enjoy your day! Oh my gosh, this would be a fun one to particpate in, or view. I imagine there might be a few tipsy Santa's before it's all over. :) Hahaha, or is that Ho Ho Ho. Happy Sunday Dorie, That would be to many HoHoHo in one area. It should be a fun time. Hi Dorie, This sounds like a very interesting and fun way to raise money for the Boys and Girls Club. Thanks for sharing this event. Hi Dorie -- I remember experiencing SantaCon in San Francisco as an observor/ visitor(not a participant) a number of years ago --- it was an unexpected treat.